Armenia is situated at a cultural, historical, and religious intersection and located at the crossroads between Europe and Asia, in the southern Transcaucasus. 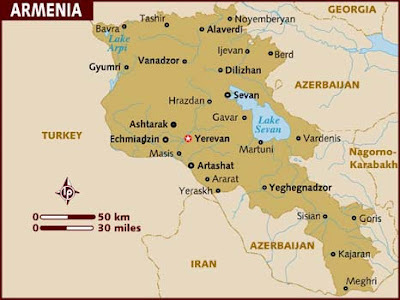 Armenia shares borders with Georgia, Turkey, Azerbaijan and Iran. Located southwest of the capital Yerevan, in present day Turkey, Mount Ararat dominates the national landscape, psyche and character, as an ominous reminder to its glorious past. The Ararat plain is divided by the Araks River and occupies the southwestern part of Armenia. Armenia's landscapes offer boundless beauty. 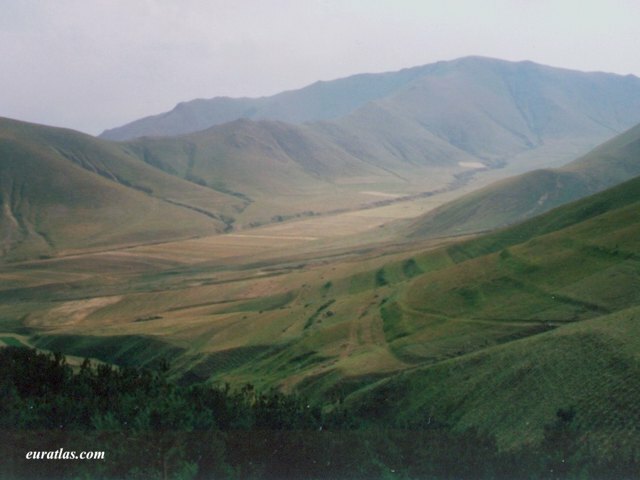 Seven main landscape types are represented across the different altitudinal zones of Armenia, ranging from desert and steppe to woodland and alpine zones, featuring high mountain peaks, fertile valleys, picturesque land formations, basalt columns, rock sculptures, scenic canyons and waterfalls. More than 200 rivers and streams traverse Armenia, with steep falls, rapids and swift currents. In addition, there are over 200 therapeutic mineral springs, differing in composition and temperature. The spectrum of ecological problems of Armenia is varied. Many of them have transformed from the past, found new quality and are of a certain danger for the sustainable and safe development of the republic. The problem of atmosphere pollution and the character of emission of dangerous substances are caused by the changes of infrastructure, industrial sector, quality and variety of means of transportation and the conditions of their exploitation. There is high risk of population morbidity and soil fertility reduction and damage of vegetation in Yerevan, Alaverdi, Ararat and in the adjoining territories. Transport remains the main atmosphere polluter. The problems connected with the polluting of water resources are especially topical. A wastewater treatment plant exists only for Yerevan city, which is implementing only physical treatment of wastewater. The quality of water in the rivers is not always up to normative indices. Almost all surface water bodies in Armenia have transboundary importance in the region. Water systems are in unsatisfactory technical condition. The Lake Sevan is a high-mountain reservoir of drinking water, which has significant national and regional importance. After reducing its size and depth due to human intervention, during 2000-2008 the level of the lake rose by about 3m. However, this did not improve the quality of water and the degree of its polluting by domestic wastewater flow remains alarming. Absence of the drainage station, new construction around the lakes and agriculture aggravate the situation. These problems are increasing risk to the lake’s ecosystem, leading to loss of endemic types of flora and fauna (biodiversity), and reduction of fishery and change of ecological-hygienic situation to the worse. The problems of treatment, storage and disposal of industrial and municipal waste are of no less danger to security. The mining companies are the biggest contributors to the waste generation. Waste management is underdeveloped as no waste sorting or recycling takes place at Armenia's landfills. 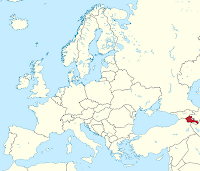 In an attempt to offset a six-year-old energy crisis caused by blockades by Azerbaijan and Turkey, the Armenian government in mid-1995 reactivated the nuclear power plant at Metsamor, closed since 1988 after a catastrophic earthquake. Environmental groups opposed reopening of the plant, since it poses an environmental threat. Despite the availability of abundant renewable energy sources in Armenia the Government is working toward building a new Nuclear Power Plant at Metsamor. The process of ground erosion and pickling, initiating desertification, developed on the territory of the Ararat plain, the main agricultural area. The plain is constantly undergoing anthropogenic influence of Yerevan and city agglomerations. Ararat cement and gold-mining factories, the nuclear power-station and the international airport are sources of air, water and agricultural lands pollution and are conductive for deterioration of soil quality, polluted with ions of heavy metals. Soil intoxication is yet another problem and a result of reckless use of pesticides, in order to increase the yield. Usage of DDT has poisoned both soil and the rivers. Another threat to security is the critical situation of forest resources. Armenia is one of the low forest-covered countries, as its forests cover less than 10% of the total land area. Hence, the continuing deforestation of already scarce forest resources presents a significant environmental threat, combined with destroying consequences for habitats, irreversible losses of biodiversity, etc. Deforestation and overgrazing are provoking erosion and desertification. Specifically, major problems to wetlands and waterbirds are water loss, water balance disturbance, soil deterioration, pollution, garbage dumping, over-exploitation, factors of disturbance, invasive species. As of 2001, 7.6% of the total land area in Armenia is protected. Also as of 2001, 4 of the nation's 84 species of mammal were endangered, as were 5 species of bird and 3 species of reptile. Endangered species include the Barbel sturgeon, Dahl's jird, and the field adder. Special attention is required by the ecological problems of Yerevan. The rates of town building have sharply grown in the last years. General cutting out of trees in the parks and public gardens has turned “light cities” into a chain of architecturally unacceptable structures. Instead of permissible 7%, over 50 % has been built on. An uncontrolled garbage jam is being observed. Drinking water supply doesn’t meet the standards and air pollution is not controlled yet. The emission of dangerous substances caused by means of transportation has roughly risen. Bringing ecological public transport down to a minimum had a negative effect on urban environment quality especially according to indicators of noise, safety and risk. Caucasus region already suffers serious consequences of climate change on biodiversity and deposition of ice and snow. One of most obvious effect on nature will be landscape zones shift towards higher altitudes. Species extinction within the region is reaching alarming rate. Armenia is sharing some of the same ecosystems and biodiversity of the Caucasus region. As a result of climate change, the country is facing a shift in the distribution of key ecosystems; increased desertification and decreased river flow due to increased temperature and lower precipitation; decrease in agriculture; loss of pasture land productivity; increase in vector-borne diseases (like cholera, plague and malaria). Volunteerism in Armenia has manifested itself in various forms, from the so-called “compulsory, coercive volunteering” with the former Soviet government, which mostly required that citizens provide free services to public projects, to “natural, freewill volunteering”. The Armenia Democracy and Governance Indicators survey of 2005 found that 66.7% of Armenian citizens were engaged in charitable or volunteer activity. Indeed, data for the 2003-2006 show that high percentages of voluntary engagement in Armenia are on account of informal volunteering: assistance to neighbours, friends, co-workers, refugees, and people living with disabilities. This finding shows that informal, unmanaged volunteering is the dominant form of volunteering in Armenian culture, with formal volunteering through organisations still underdeveloped. Moreover, there is evidence that ordinary community members actively participate in the life of their communities by making cash or in-kind contributions and providing voluntary labour for various communal initiatives. Over the past few years, Armenian environmental organisations have accumulated sufficient skills and know-how for initiating campaigns against environmentally hazardous policies, increasing the public’s exposure to and awareness of environmental issues and threats and of leading public campaigns. Many environmental organisations have shifted from ‘staying separate’ to starting cohesive and joint work toward common goals. Possibly the major lesson that all Armenian civil society organisations can draw from the experience of the environmental organisations is that the trust and support of the grassroots is crucial when influencing policy. It is not surprising that the campaigns of environmentalists were most successful if and when they were backed up by firm sponsorship of the public. Further, the Armenian Diaspora has always proven to be a strong figure in the social and political life of Armenia. Pollution charges in Armenia are levied on air pollution from stationary and mobile sources, water pollution, and “placement” (i.e., storage and disposal) of waste. Since 2000, ten air pollutants emitted by stationary sources have been subject to environmental charges. This list was considerably shortened compared to the 51 air pollutants that were subject to charges in 1993-1999. Currently, charges are imposed on 19 water pollutants (before 1999, 27 water pollutants were charged). Waste charges are imposed on juridical and physical persons for the ‘placement’ of industrial and municipal waste in the environment. The translation of the term ‘placement’ covers both the storage of waste and its disposal in landfills. There actually does not exist any other form of waste management in Armenia, there is no recycling or waste separation. A law from 1999 introduced charges on environmentally harmful domestic and imported products. The product charges were designed as revenue raising and not as incentive instruments. Petrol and diesel, formerly subject to high product charge rates, were removed from the list in 2000. The excise taxes on motor fuels were simultaneously increased to provide the same revenue level. Over the past years 27 codes, laws and numerous normative acts ensuring the execution of the latter have been adopted. A number of environmental legal acts and certain environmental policy directions, which did not ensure sustainable management and conservation of the environment and natural resources as a result of economic processes, were also amended. In particular, since 2000, six codes and laws have been adopted in lieu of the ones adopted in the 1990s. The development of the Second National Environmental Action Programme has been initiated and launched by the Ministry of Nature Protection of the Republic of Armenia. The NEAP-2 is aimed at provision of an overall framework for integrated environmental management in the Republic of Armenia that optimizes utilization of the country’s natural resources and identification of overall environmental conservation policy. Concept for Introduction of new biotechnology of artificial reproduction of populations of endemic species of fish of Lake Sevan (2006). Practical examples of socially responsible corporate behaviour from Armenia’s largest companies are frequent but they are mostly “stand-alone” activities, not embedded into the companies’ core strategies. This can possibly be explained by the fact that some Armenian companies do not recognise or even recognise but ignore the relationship of CSR to business benefits. Many of the Armenian corporations view CSR as a one-way obligation rather than something that provides tangible benefits and a lasting competitive advantage to their organisations. Furthermore, CSR initiatives in Armenia do not benefit from the involvement of civil society organisations. Civil society organisations do not pro-actively seek the partnership of business organisations, while the private sector remains sceptical about the capacities and trustworthiness of many CSOs. Consequently, more often than not they choose to engage in non-systematic sponsorship of non-profit organisations. The private sector has failed to release information concerning environmental pollution and use of natural resources, claiming the need to protect company secrets, which makes the protection and sustainable use of natural resources extremely difficult. However, some companies that are frequent environmental polluters buy the approval of the community through donations and sponsorship. Especially alarming in the private sector are the levels of gender and age discrimination, as well as sexual harassment in the workplace. The idea of corporate social responsibility in Armenia is relatively new. The welfare state that is emerging in Armenia does not contribute to the development of a socially accountable corporate sector. Only a small number of firms are beginning to establish socially responsible relations in the communities in which they are active, and there is uncertainty among those firms about their returns for these social investments. However, the importance of the existence of a limited number of small and medium entrepreneurial firms that have begun to make charitable donations to the regions in which they are based is growing.